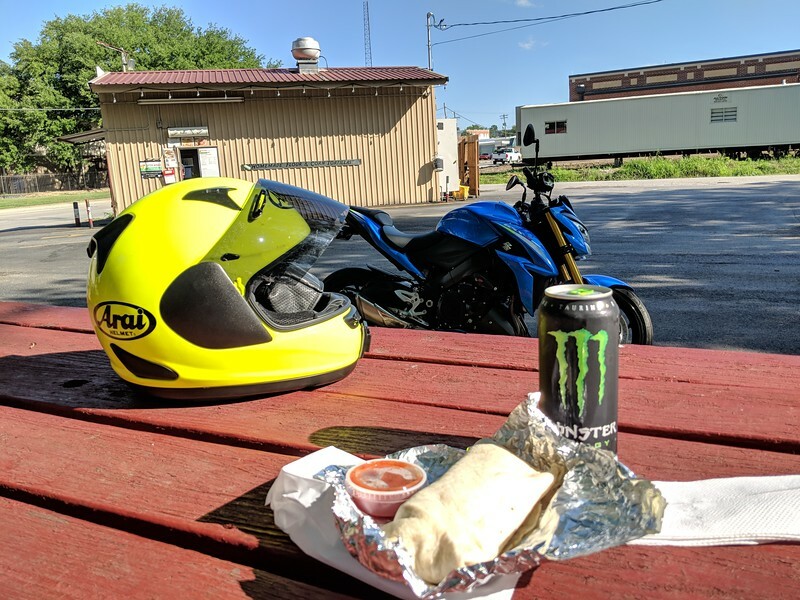 Found me a local taco stand that has great breakfast burritos. 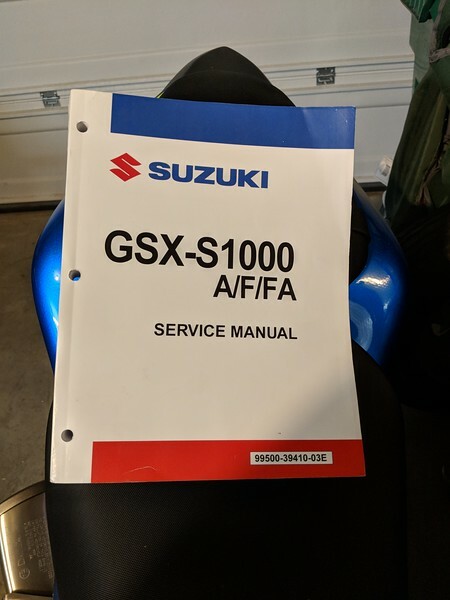 I've been taking turns taking each bike there but the GSX-S1000 was the first to make the trip. 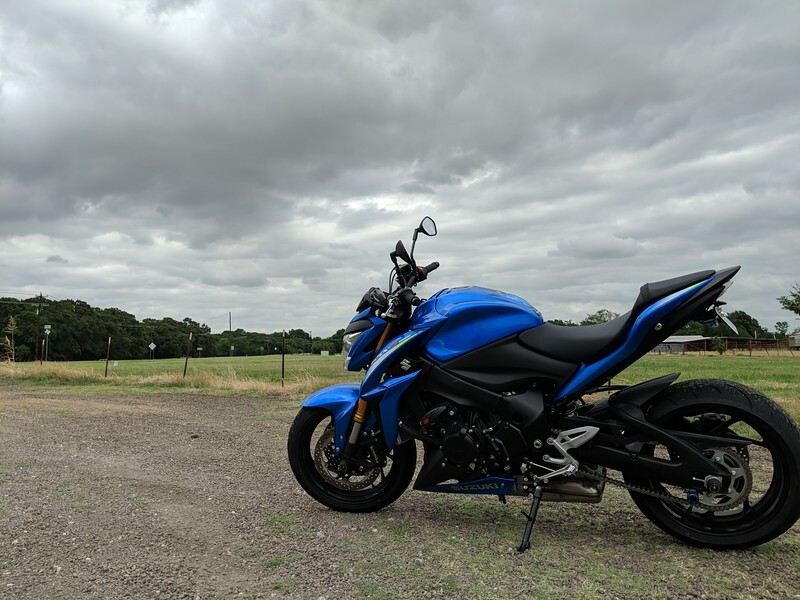 Little ride out before a rain storm. 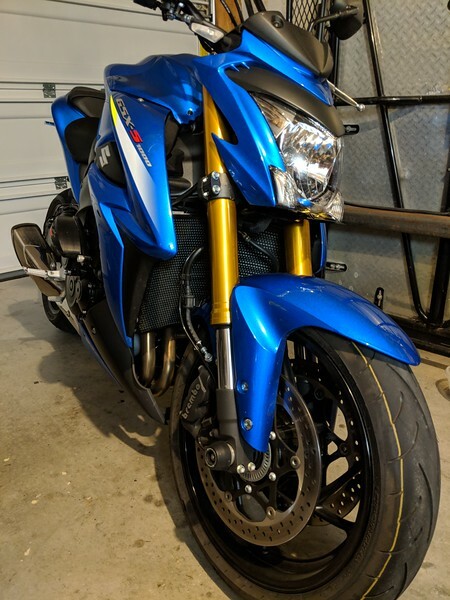 Temps were low thanks to the weather so it was nice to get a semi comfortable ride in this time of the year. 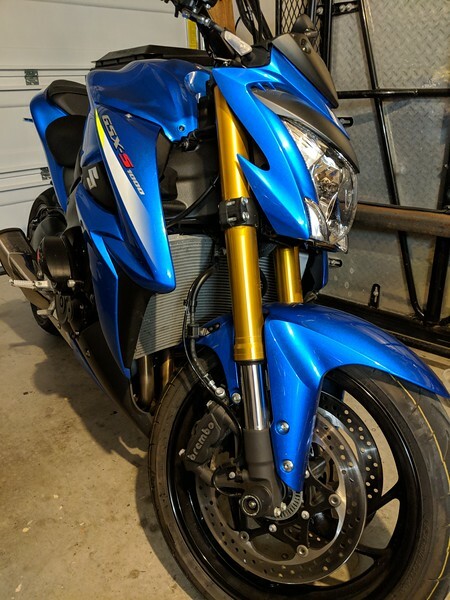 I also picked up a radiator guard from a guy on the GSX-S1000 board. Before. After..now the radiator is protected from rocks and things thrown by the tire and it looks much better too. Radiators are expensive, so this is cheap insurance. 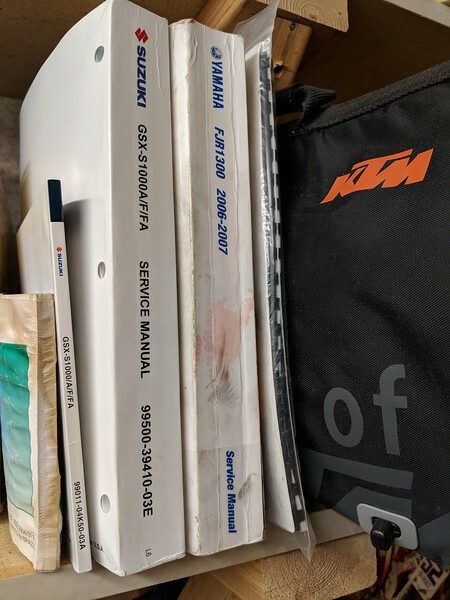 He also had for sale a Factory Service Manual. This is the same thing they guys at the dealership use for troubleshooting and repairing bikes. These are nice to have on hand when you do your own work. It fits into the bookshelf nicely next to the FSM for the FJR.